Here is what we know as of now…. 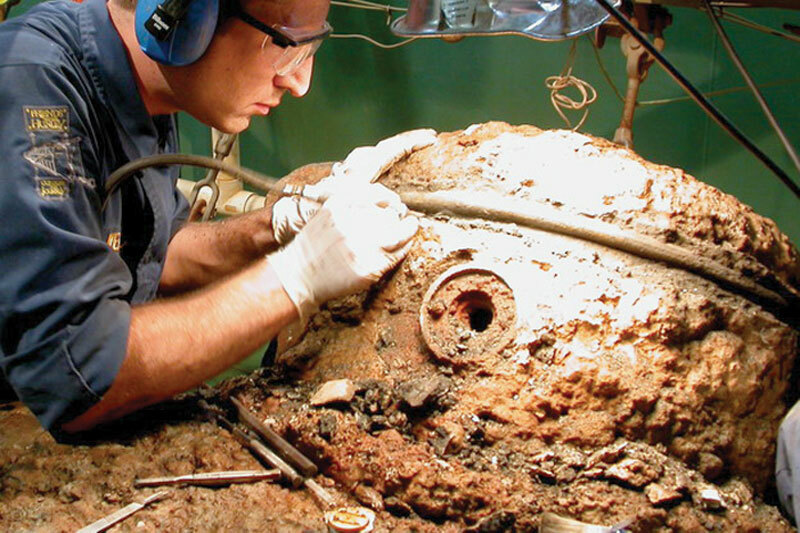 Crew Remains: Archaeologists excavating the Hunley after its recovery in 2000 found the crewmembers’ remains were largely found at their stations, with no sign of panic or desperate attempts to escape the submarine. The remains also show no new injuries, suggesting whatever happened to the Hunley was not violent enough to break the crew’s bones. Since the bodies decomposed more than a century ago, any flesh or tissue wounds the crew may have experienced that night will never be known. 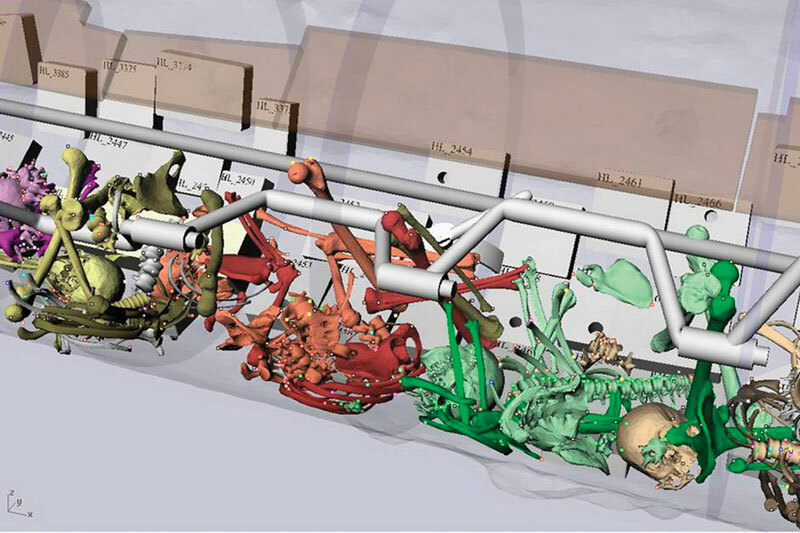 Looking at the forensic data in the 3D model, it becomes visually apparent there was little co-mingling of the remains and each man seems to be resting at his assigned station. Hunley Location on the Seabed: One of the many reasons it took so long to find the Hunley was because her location what not where most expected. Searchers usually looked between the shore and the wreck of the Housatonic, assuming she must have been lost between those two points as the submarine attempted to return home. In fact, she was found on the sea-side of the Housatonic, about 1,000 feet (less than half a mile) from the Union ship’s wreck site. 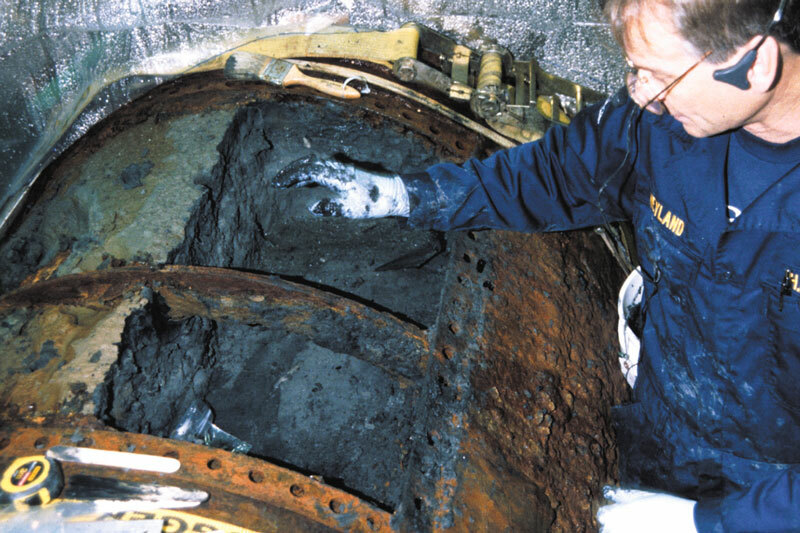 Damage to Submarine: When the Hunley was recovered, signs of obvious damage were noticed immediately, including a large hole in the aft ballast tank. It is tempting to look at the holes and appendages that broke away and assume they are scars remaining from the night of the historic attack. However, most of the damage happened slowly over time while the Hunley rested on the ocean floor for over a century. In fact, much of the damage to the sub is the result of unforgiving underwater currents and scouring sand. Computer-generated graphic by Dan Dowdy. The Rudder was found detached and underneath the vessel. Based on where it was found, lying beneath the keel, it seems the rudder broke off the submarine not long after it sank. The Forward Conning Tower held five viewports. Captain Dixon used these to navigate and as his windows to the outside world. One of the viewports is completely missing. There is now a grapefruit-sized hole in its place. Since a broken off iron fragement from the missing view port was found in the sediment at the very bottom of the submarine, this damage could have happened very early, potentially even the night of the attack. 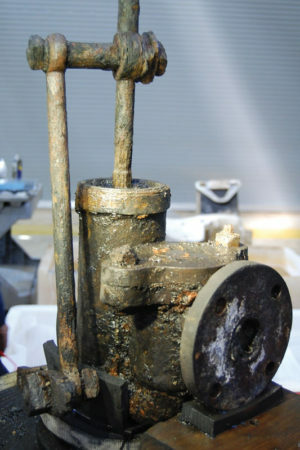 The rudder, pictured here post-conservation, was found detached from the submarine and beneath the stern. Hatches: The hatches that sat on top of the forward and aft conning towers served as the only access points into and out of the submarine. Scientists found one hatch was locked and the other was not. The forward conning tower was found unlatched. This could be significant, but the hatch was heavy enough that it would stay sealed while the submarine was underwater and upright. The aft hatch was found locked. If the crew had been desperately trying to escape, it is reasonable to assume both hatches would have been unlatched. Ballast Pump Settings: When the Hunley mysteriously vanished, most students of history assumed the eight-man crew drowned. That may not be true. The pumps are still in the same position they were on the night the submarine was lost. Those settings could reveal what steps – if any – the crew may have taken to try and save their lives. A preliminary study of pump system shows that it was not set to pump water out of the crew compartment. This discovery suggests the crew may not have drowned, but died of some other cause. Blackout Mode: The Hunley was in Blackout Mode when she was lost. The submarine had a series of 10 topside ports that provided the crew a small measure of ambient light when the Hunley cruised on the surface. These small glass ports were equipped with iron covers that could make the ports watertight and also block any light from escaping the sub, and possibly alerting ships to their presence. These ports were all found closed. 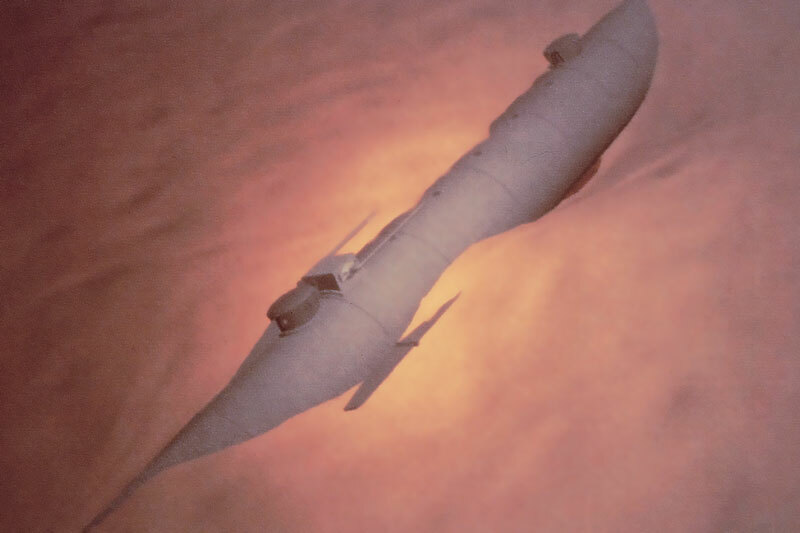 Historical Records: Some historical evidence suggests the Hunley did not sink immediately after the attack and light, perhaps in the forms of signals, was seen by both Union and Confederate sources. Records indicate the Hunley crew was to signal to shore if they were successful in sinking the Union warship. Robert Flemming, a sailor on the USS Housatonic, was standing bow lookout watch the night the Hunley attacked. About 45 minutes after the attack, Flemming – who survived and retreated to the Housatonic’s rigging to await rescue – said he spotted a blue light on the water, just ahead of the USS Canandaigua, the first Navy ship to arrive on the scene. Flemming’s report of a blue light could be consistent the testimony of Confederates at Battery Marshall, who said Dixon said he would show “two blue lights” when he wanted a signal fire lit on the beach of Sullivan’s Island. Was Flemming the last man to see the Hunley for more than a century? If he was, his account could suggest a tragic end for the Hunley. If the submarine was “just ahead” of the Canandaigua, which was sailing to rescue Union sailors, it could have created a wake that toppled the submarine or hit it directly. Also, because the Hunley had no ports facing aft, the crew might not have even known a ship was bearing down on the submarine. The aft hatch cover being prepared for removal. The true appearance of the aft pump can now be seen after deconcretion was completed. Sediment In-filling: After the Hunley filled with water, sediment suspended in the water column settled along the bottom of the submarine. Analysis of the deposition of sediment indicates some additional material filling the submarine over time may have entered near the forward conning tower. The breach in the forward conning tower is the most likely source, and would explain some of the courser sediment discovered in early deposits at Dixon’s station.